Scent box for her by Frau Tonis Parfum – a beautiful selection of feminine fragrances that are handmade in Berlin. Watch L1 by Lilienthal Berlin – a classic, timeless and minimalistic watch for every occasion. Scented candle “good things will happen soon” by Coudre Berlin – a wonderful candle that is soothing and relaxing Made from soy wax and organic essential oils. Hajo Black by Ucon acrobatics – a really cool and quite affordable backpack that is super comfortable to wear. Berlin Boombox with Bluetooth connection – put his favorite songs on speaker with this beautiful alternative to boring headphones. Cube chain by Felicious – such a special necklace, made from silver ruthenium treated silver that she can still wear in 30 years because it’s beautiful and timeless. Lufthansa Cocktail Old fashioned – an oldy but goldy! Lufthansa cocktails are made from the best liquors in town and delicious recipes by Berlin based bartenders. Le double grumetta bracelet by jukserei – a beautiful piece of jewelry that will always remind her of you. Nougat Pralines by Sawade - handmade, award-winning chocolade made from first-class and inartificial goods and a beautiful packaging! Gretas Schwester book – beautifully hand illustrated book about friendship, freedom and wanderlust. 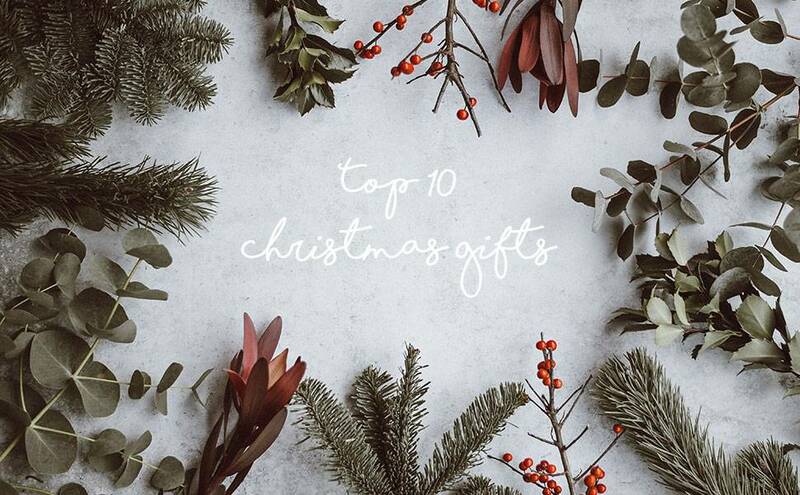 If you need more inspiration check out our different gift guides for presents less than 20€, less than 40€ and less than 60€. And don’t forget, that we’re also offering gift wrapping services at our Kreuzberg concept store!